We have been able to gather that the processes for admitting Direct Entry students will remain for the 2015/2016 admissions but a minimum Post-UTME score of 50 is required to be scored by the applicant to qualify for admission. 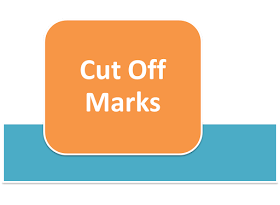 OAU Peeps News Agency can confirm to you that the Faculty Of EDM has released their 2015/2016 admission cut-off marks as detailed below. OAU Peeps has confirmed the release of the 2015/2016 admission cut-off marks for the Faculty of Agriculture. OAU Peeps News Agency has confirmed the release of the admission cut-off marks for the Faculty of Science. OAU Peeps has confirmed the release of the 2015/2016 admission cut-off marks for the Faculty of Law. Due to the jealous nature of my faculty, one of the few chances of adventure I get is my daily ride to and from campus. I reside in an area near the school gate and therefore have to board the popular “Town Gboro” buses to get to campus. Most times, my adventures are quite simple and dull but on some other occasions, an incident or the other helps lighten up my boring adventure: Fights and quarrels over fares at bus stops, the sonorous “enter with your change” song the drivers sing, and others are some examples of these incidents. Last week, I got to experience another form of entertainment in the course of my boring adventure. OAU Peeps News Agency can confirm to you authentically that the cut-off marks for departments in the College of Health Sciences, Obafemi Awolowo University for 2015/2016 admissions have been released. The Students’ Union leadership has today shed more light on the ‘autonomous spending’ that was approved for the Union Central Executive Council (CEC) by the Congress of Obafemi Awolowo University on Thursday, 27th August, 2015. 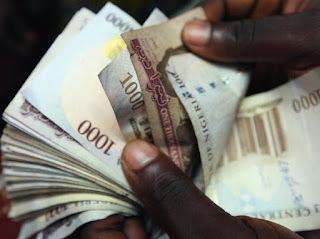 Clarifying the purpose and reason why the autonomous spending is necessary, the President of the Union, Akande Omotayo a.k.a TY said the Union has been financed by money from personal purses of the Union officers since their budgets have not been passed. The president said that the autonomy does not mean they can spend money the way they like. He said the autonomy will be on spending on things that are exigent and cannot wait till the budget passage. OAU Peeps News Agency can confirm to you authentically that the cut-off marks for departments in the Faculty of Arts, Obafemi Awolowo University for 2015/2016 admissions have been released.